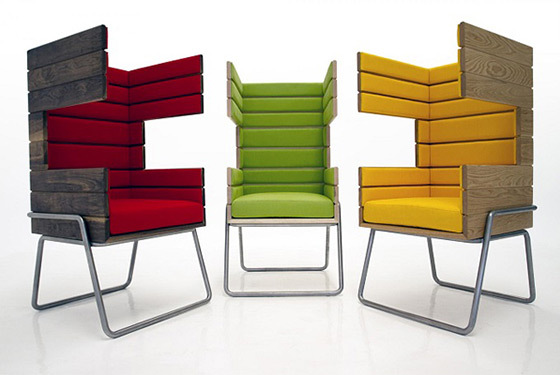 Chair design is always a popular topic on our website. Swing chair, lounge chair, rocking chair, armchair, there are so many cool and creative chairs waiting for us to explore. From skull shaped to peacock inspired, here we will present you with 7 more cool and unusual chairs. 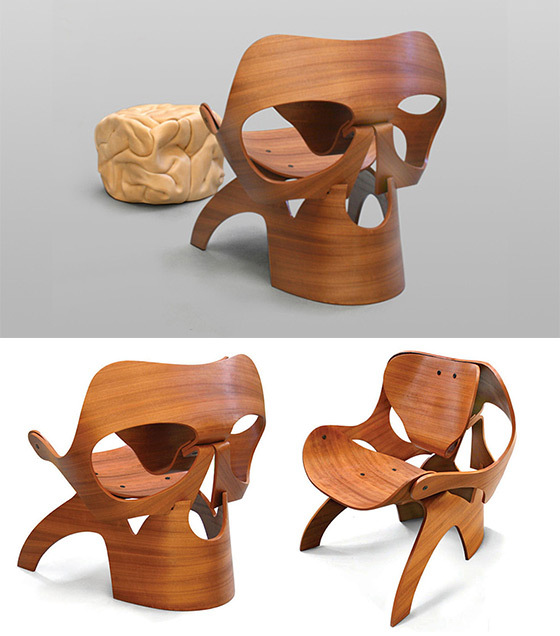 Make of various materials, these chairs have one thing in common – irregular shape and unusual style. These stunningly cool chair designs are sure to add some eclectic touches to your humble abode. Skull Chair and Brain Ottoman were crafted by artist Vladi Rapaport. Made from reinforced polyester and having an option to have a veneer covered finish as well, the chair takes a more abstract and artistic approach to a skull shape. Besides for the utral cool skull chair, square leather covered ottoman looks strikingly similar to a brain, which pairs up with the chair to create a complete set. 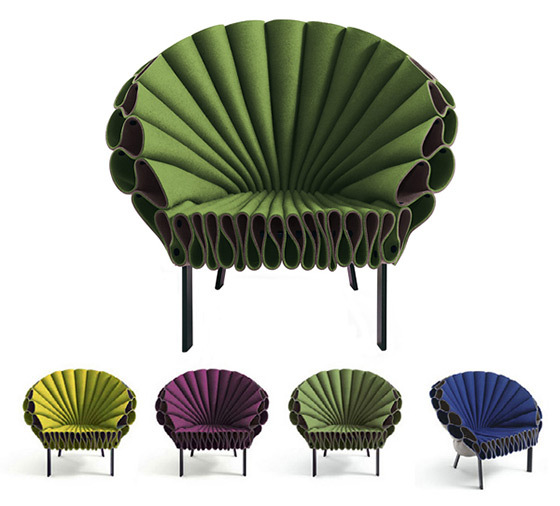 Inspired by peacock, this incredible beautiful chair is created out of three sheets of felt and a minimal metal frame. 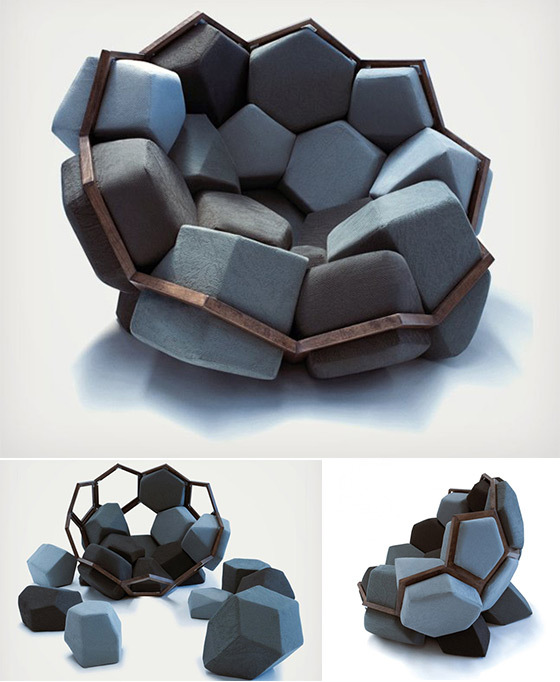 Its clever design and use of materials requires no sewing or upholstery. Works perfectly as a comfortable lounge chair. Quartz Armchair is the collaborated result of Greek design studio CTRLZAK and Davide Barzaghi. QUARTZ is a system that couples two-dimensional pentagonal and hexagonal wooden structures, which develop in three dimensions following natural crystalloid formations. The geometric volumes are covered with ecological fabrics in mixed color variations producing an end result that resembles more a wild micro-habitat than an armchair. 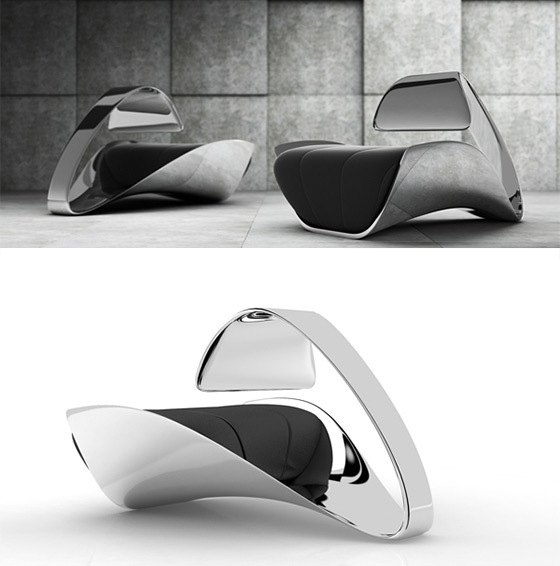 This eye-catching and interesting chair is the latest work of the architect and designer Jakob Gomez. The chair’s architectural aesthetic and the amazing combination of strong basic colors with 3 different types of woods create an awesome contrast, and with every standpoint you are likely to discover surprising details. The Serenad chair’s elegant form is inspired by the unique sleeping position of the swan with it’s head between its wings as it floats on the water. Its soft yet extravagant shape is off-set by a surprising reflective chrome finish that mirrors the colors and patterns of everything around it. Definitely not appropriate for every interior style, but place it in the right room with the right surroundings and it’s sure to make a statement. 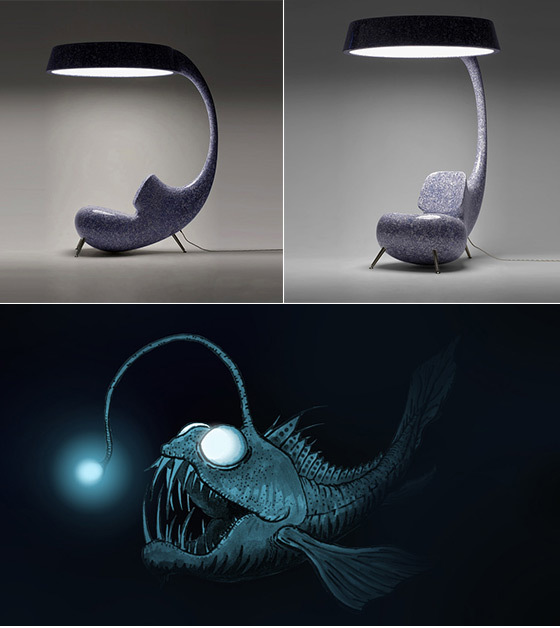 This unique chair is inspired by Angler fish that can emit light from escas to meanrik prey. Just like angler fish, this chair is equipped with headlights which provides sufficient light for reading. Made of fiber reinforced resin, this ergonomic unit is surprisingly comfortable and eye-catching. 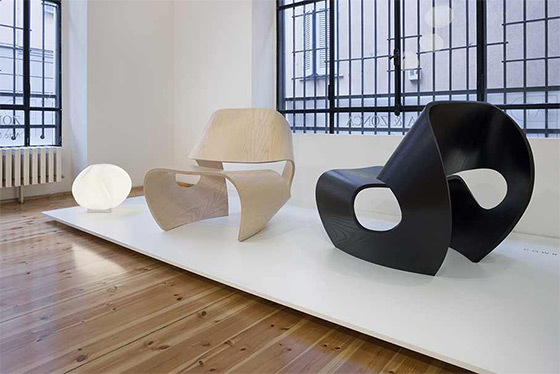 Inspired by the concave lines of sea shells, Cowrie Chair is a elegant chair with modern flowing lines. Sweeping lines are displayed in a gentle, single surface monocoque fold. The all-in-one structure, formed in Ash faced plywood, comes in an elegant rocking lounger and a rock solid easy chair.